The news last week that police had arrested Sajid Badat at his home in Gloucester, England, shook many Britons. The charges against him concerned his training with Al-Qaida in Afghanistan and his possessing PETN explosives, the same substance would-be shoe bomber Richard Reid had tried to set off. 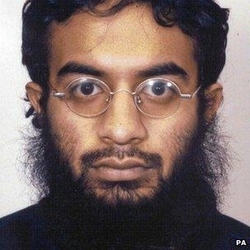 Police believe Badat intended to carry off the very first suicide bombing in the United Kingdom. But not everyone was shaken by this news. Gloucester's Muslim community esteemed Badat too much to credit the charges. One admirer called him "a walking angel" and "the bright star of our mosque." Another described him as "a friendly, warm, fun-loving character." A cousin insisted Badat was "nothing more than a friendly, sociable, normal young lad, who had lots of friends and did not hold extreme views in any way." Interestingly, a similar gulf in attitudes recurs almost every time a supporter of militant Islam has either been arrested on terrorism-related charges or engaged in an actual terrorist operation. "He was a very nice person. He used to train our kids. He was very jolly and always laughing." This eulogy by a mosque leader describes Wail al Dhaleai, a British immigrant of Yemeni origins who carried out a suicide attack against US troops in Iraq. Another mosque figure called Dhaleai a "jolly fine gentleman" and a neighbor noted how he went "out of his way to help the children." Dhaleai's martial arts coach added, "He just made you laugh. – I cannot say enough nice things about him. He was such a nice guy." "He was just a big teddy bear – honorable and very polite – a well-liked and respected pupil": those are some of the depictions of Asif Hanif, a Briton of Pakistan origins who blew himself up in a Tel Aviv pub, killing three. "He was smart, clever and kind, a really nice boy." That's Zacarias Moussaoui, sometimes known as 9/11's "twentieth hijacker," as described by his older brother. "He was the nicest guy. He didn't mess with anybody," said Iyman Faris's former employer right after Faris, an Ohio trucker of Pakistani origins, had pleaded guilty to providing material support to terrorists and conspiracy to provide support. Faris's stepson spoke endearingly of his stepfather's "very good sense of humor." "Just a normal, good-natured young man who dreamed of a family of his own, whose young adult years in [Florida] were filled with driving children to school, buying groceries and taking college courses." That's the Miami Herald paraphrasing his family talking about Adnan Gulshair El'Shukri-jumah, a Florida-raised Saudi suspected of being an al-Qaida member who helped with 9/11, and someone the FBI considers "a very, very, very serious threat." "She was an educated person, concerned with educating people about Islam." She here is Aafia Siddiqui as portrayed by her imam, a Pakistani woman sought for questioning about ties to al-Qaida. "Friendly and charming – a kind person," someone beloved by villagers for offering free health checks and cheap medicine; that's how a religious leader described Waemahadi Wae-dao, a medical doctor arrested on charges of planning to bomb embassies and tourist spots in Thailand. Such high regard for terrorists has several important implications. First, it points to the adherents of militant Islam being indeed "normal, good-natured young" people, and not misfits. In common with other totalitarian movements, militant Islam finds support among many accomplished, talented, and attractive individuals – which renders it all the more dangerous a threat. Second, the fact that those who murder on behalf of militant Islam often enjoy psychological soundness, educational attainment, sporting success, economic achievement, or social esteem suggests that Islamist violence cannot be reduced by adopting the "root causes" approach of addressing personal poverty and despair. The phenomenon needs to be fought head-on. Third, that terrorists are (unsurprisingly) skilled at hiding their intentions has the unfortunate consequence of making them harder to discern and therefore spreads suspicion to the larger Muslim community. This in turn points to that community's heightened responsibility and incentive to ferret out potential terrorists in its midst. 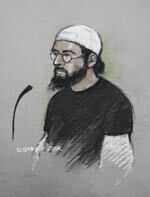 Feb. 28, 2005 update: Sajid Badat, the "walking angel," pleaded guilty today to charges that he conspired with Richard Reid to blow up a U.S.-bound airliner in 2001 with a shoe bomb. Apr. 22, 2005 update: Badat was sentenced to 13 yeas in prison.